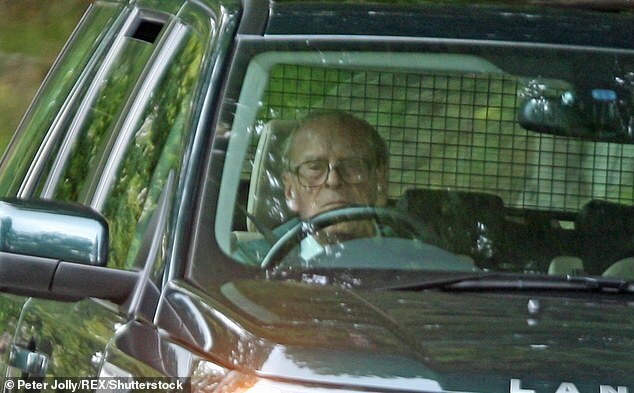 Prince Philip has been spotted behind the wheel of his brand new Land Rover today just two days after flipping his car in a horror crash. 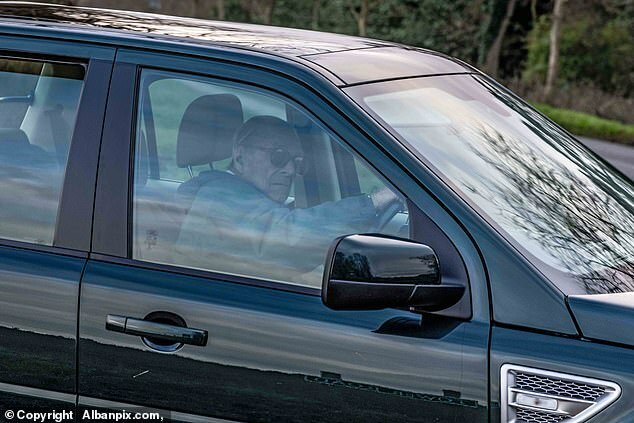 In photos obtained by MailOnline, The Duke of Edinburgh, 97, can be seen driving into the main entrance gate to the Sandringham estate on his own without a seatbelt on Saturday afternoon. 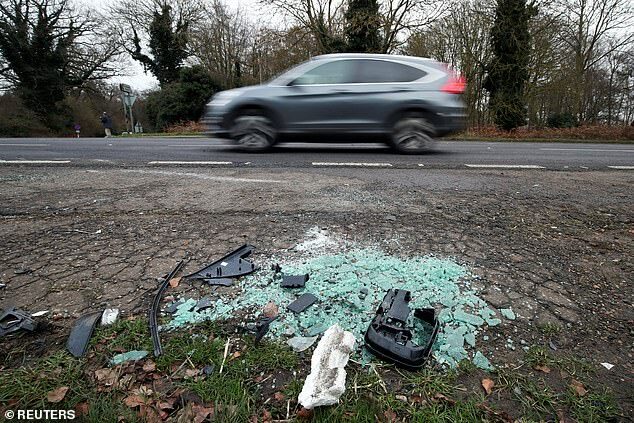 It comes less than 48 hours after he was left bloodied and shaken when his car ‘somersaulted across the road’ after colliding with a Kia on the A149 in Babingley, Norfolk. 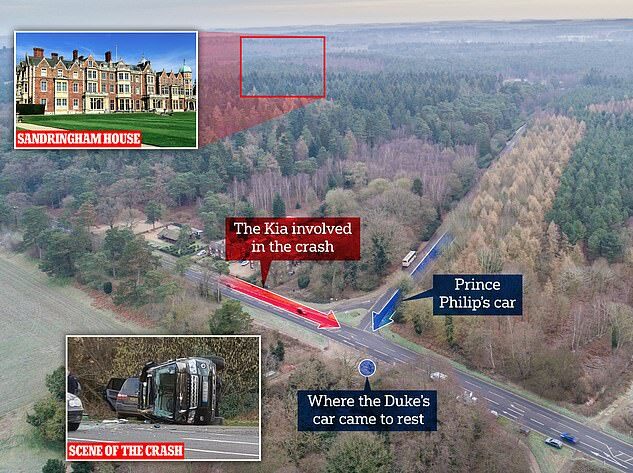 A motorist who swerved around the wreckage said the duke was ‘hanging from his seat’ and saying ‘my leg is trapped’. Four rescuers had to free him from his upturned vehicle. 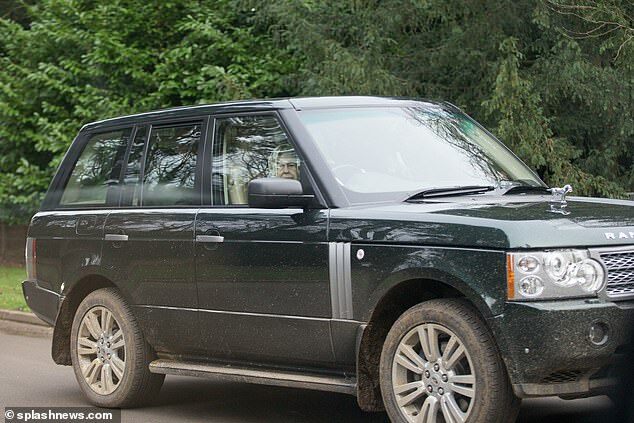 And, astonishingly, the Queen was later pictured driving on a public road little more than a mile from the scene of the accident without a seatbelt. Palace officials admitted last night that Philip was taken to hospital on doctors’ advice, despite initially insisting he was unhurt. 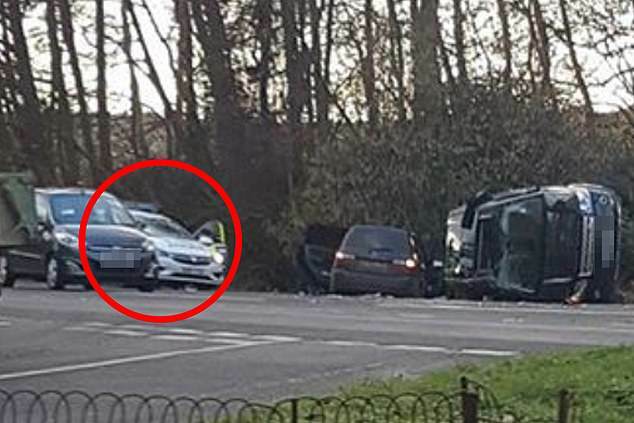 It emerged last night that a nine-month-old boy and two women were in the car that hit the prince’s vehicle as he pulled out onto a main road near the Queen’s Sandringham estate in Norfolk. None of the trio were seriously injured and the Duke of Edinburgh exchanged ‘well-wishes’ with them. 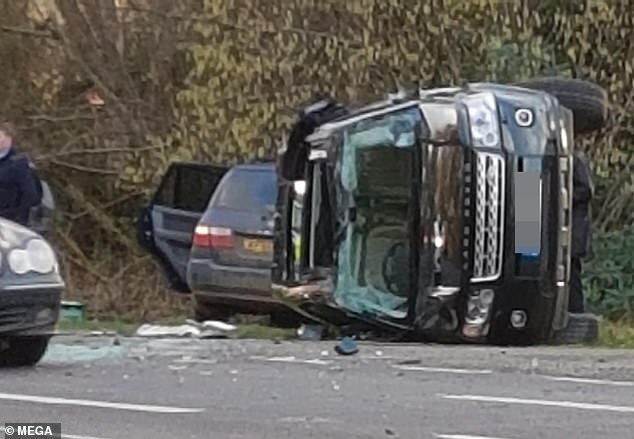 However he is now facing a police probe over the accident – which could lead to a charge of dangerous driving – and could be forced to surrender his driving licence. 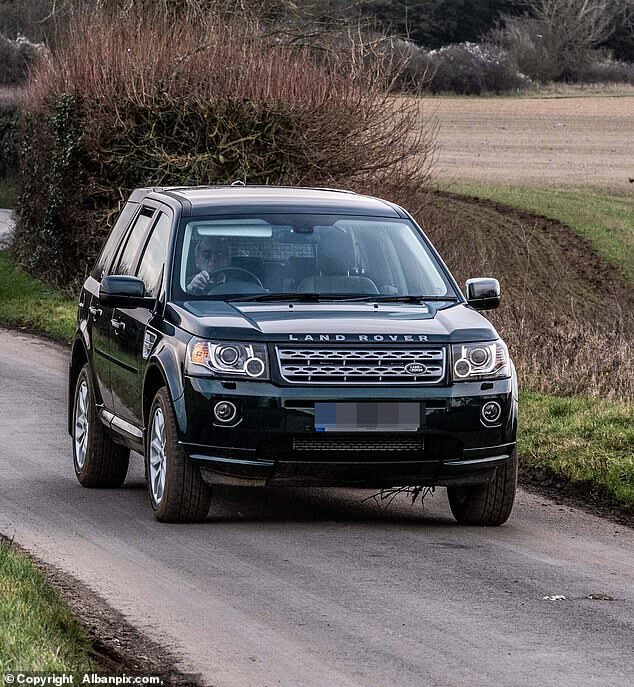 Despite this, a replacement Land Rover Freelander, bearing his distinctive number plate, was delivered to Sandringham yesterday. 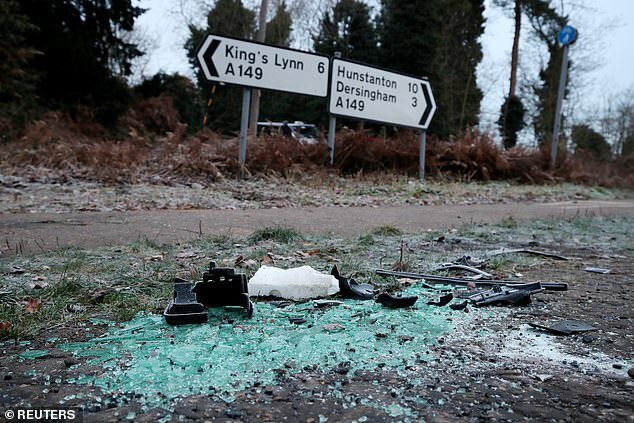 The female driver of the Kia, 28, sat in a police car wrapped in a paramedics jacket while cradling her nine-month-old son in the aftermath of the crash. The shocked mother hurt her knee which had to be wrapped in a dressing. Her 45-year-old mother suffered a broken wrist and was taken to hospital but was later discharged. The baby, who was rescued from the Kia’s back seat, appears to have been unhurt. Motoring experts said it was likely police would ask Philip to voluntarily surrender his driver’s licence because of his age. 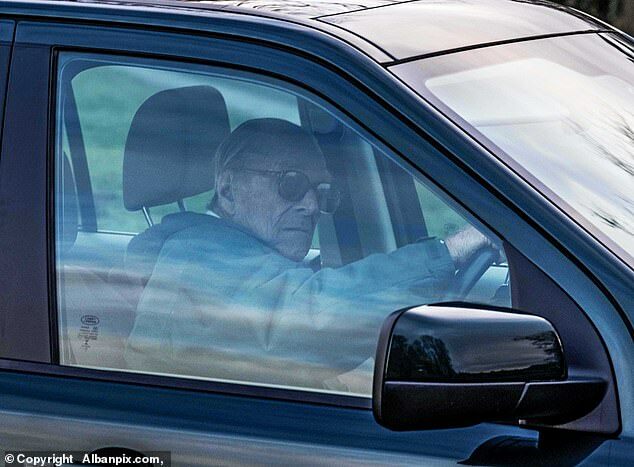 A royal spokesman confirmed that he was taken to the Queen Elizabeth Hospital in King’s Lynn yesterday morning for a precautionary check-up on doctor’s advice but ‘had no injuries of concern’. Under UK law it is compulsory to wear a seatbelt if there is one fitted but the Queen is immune from any civil or criminal proceedings. Retired barrister Roy Warne and grandfather Glenn Watson bravely rushed to help Philip out of the wreckage.